One of the most popular products from Earth Friendly range. 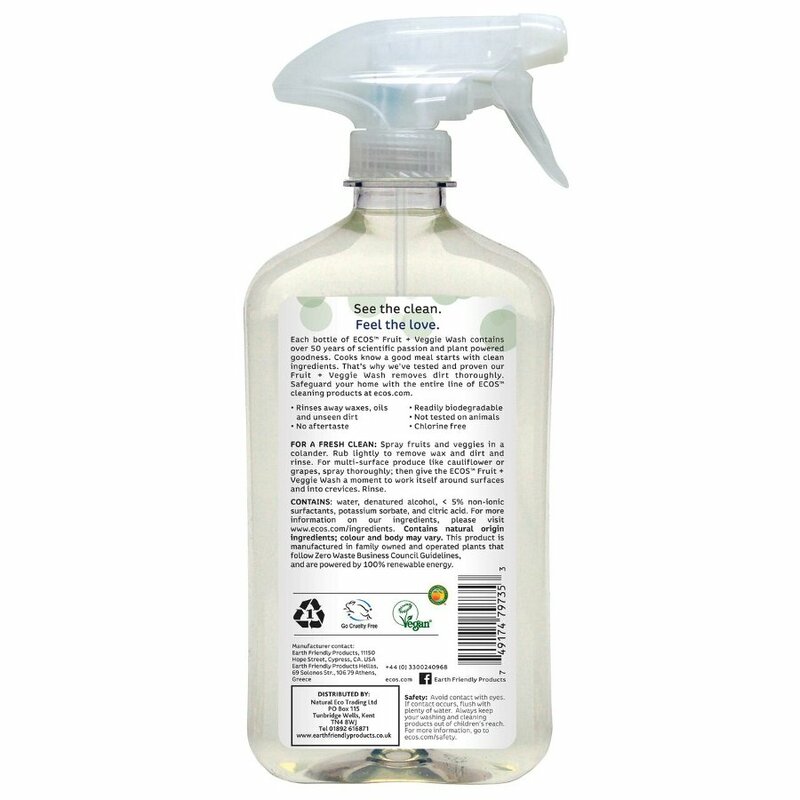 This eco-friendly cleaning product will help to remove any chemicals, pesticides, dirt etc from the surface of your fruit and vegetables. It is guaranteed to be completely tasteless and with its 100% natural ingredients, you can be assured no chemicals have been used making this a completely safe product for your use on your food. Simply spray on and rinse off - works quickly and easily, with no need to scrub or soak! 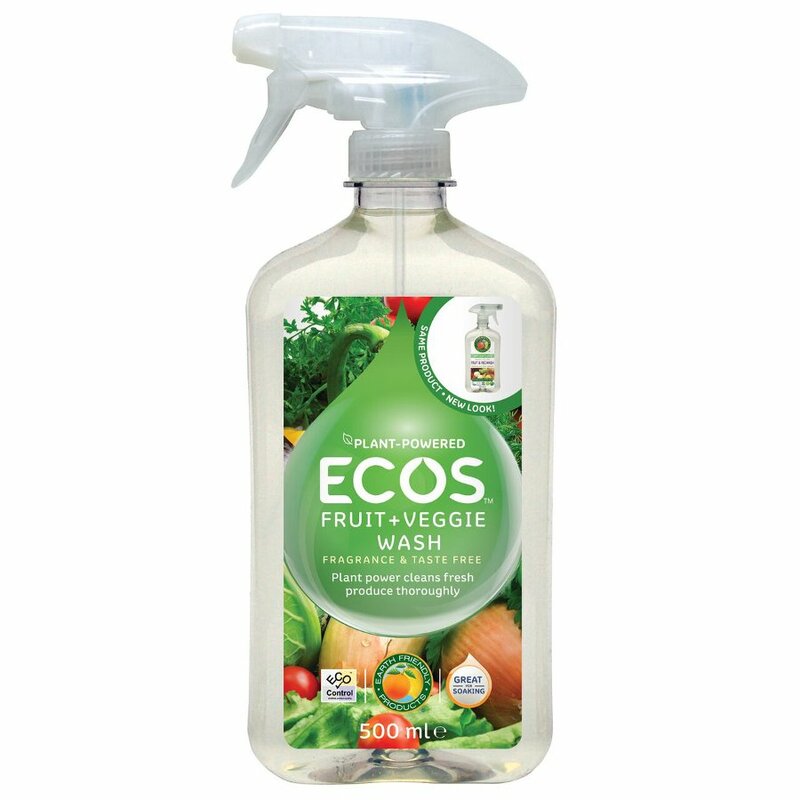 The ECOS Fruit & Vegetable Wash - 500ml product ethics are indicated below. To learn more about these product ethics and to see related products, follow the links below. Excellent, I use this product when washing all fruit and veg i buy where I think pesticides have been used.